A new Congressional Budget Office report says the U.S. government will need to spend approximately $1.2 trillion in 2017 dollars to operate, sustain and modernize the country’s nuclear weapons from fiscal years 2017 through 2046. CBO said Tuesday it estimates $772 billion in costs for the operations, sustainment and upgrades of missiles, submarines, long-range aircraft and other strategic nuclear delivery weapons and systems, while the $25 billion would be for tactical nuclear delivery platforms and weapons over 30 years. The agency projects $445 billion in costs for nuclear production facilities and laboratories as well as command, control, communications and early-warning systems over the next three decades. CBO noted that there are nine options that could help manage the costs of U.S. nuclear forces and generate between $27 billion and $139 million in savings over a 30-year period if implemented. One of the options would delay modernization work on the B-21 bomber aircraft, Ground Based Strategic Deterrent program’s intercontinental ballistic missile portion and interoperable warheads while still meeting the planned force structure. The report noted that five options would reduce nuclear delivery systems while maintaining the number of deployed warheads based on the 1,500-limit set by the New Strategic Arms Reduction Treaty. 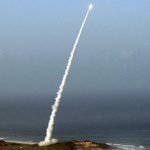 The three remaining options would lower the number of nuclear delivery systems and deployed warheads below the limits established by New START, the report added.